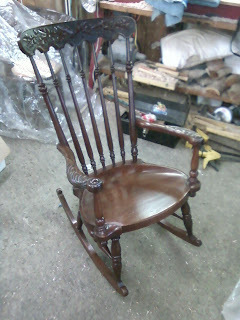 Below are some photos of some completed work I have done recently. 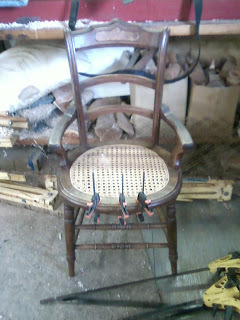 the first is a photo of the rocker I was working on. 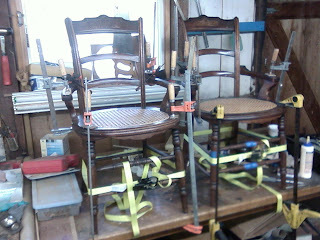 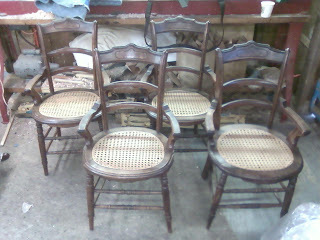 It is followed by some photos of the Gustave Stomps chairs being glued up and the chairs after gluing. 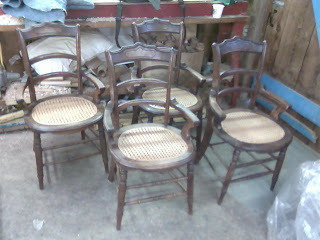 Another shot of the four Stomps chairs.